I got tired of miserably failing at Kaboom, especially after looking at threads on AtariAge were people routinely beat 5000 points, and some end up in the hundreds of thousands (reminder, I am stuck at 2754 :), but last evening I beat 2000 multiple times so I might be improving). Anyway, got bored, so I decided to try my luck for 5 minutes on another Activison. After trying 2 (!!) 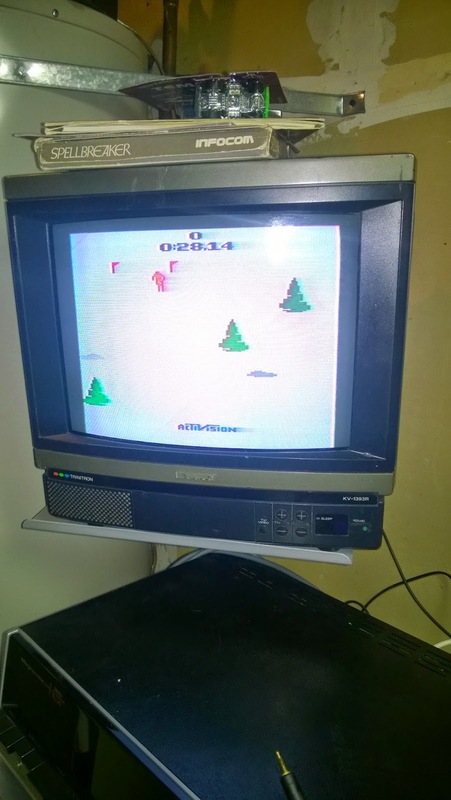 bad Decathlon cartridges, I settled on Skiing. Another great game were you have to learn to do small adjustments to your trajectory and get as close as possible to the gates so that you can pass multiples in a row. 5 minutes became an hour, but I finally beat the 28.2 sec patch score, barely by doing 28.14 seconds. 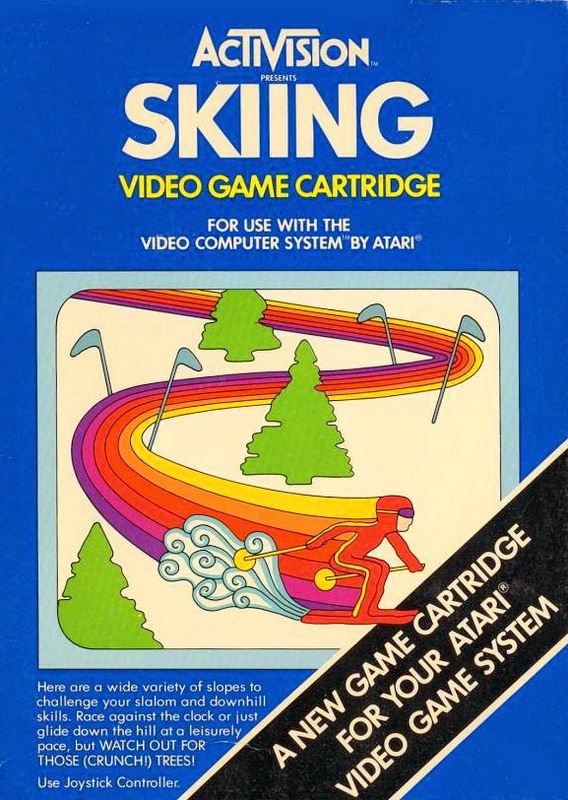 I read that Skiing introduced scrolling to Atari games, not sure if this is true, but it is really a well made game. And the controls are there also so simple, right and left only, the down direction being used for starting your run only. And the button ? well it is so useless that it is used to retry your run. No jumping or anything else, just reset. After Kaboom, another super simple to learn game, but probably hours of gameplay. So here you go patch #4 !! 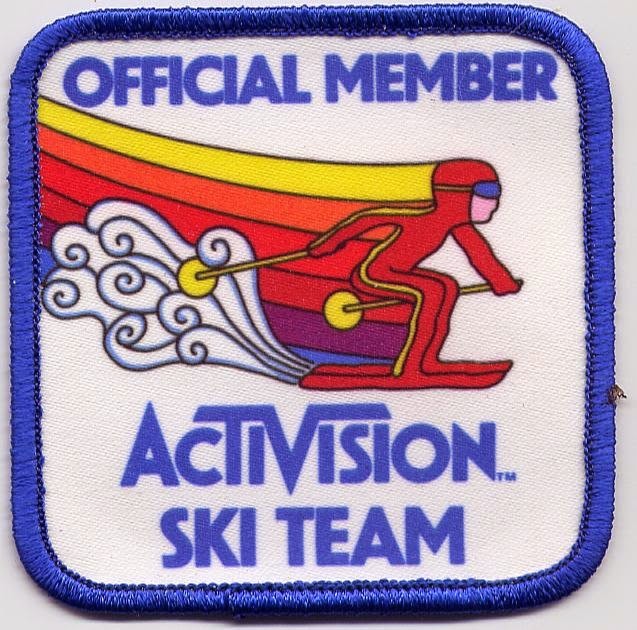 28.14seconds and patch #4 Activision Skiing. I am really getting low on Activision games now, I think I still have kaboom (errr) and Enduro to beat. Time to browse eBay/CL/Goodwill for more. I also want to try out these game son other consoles, either exclusives like the ones on the Intellivision, or the Atari 5200 renditions of the 2600 games.